In Nazi-occupied Holland, Joris Verhagen and his family live in a windmill. 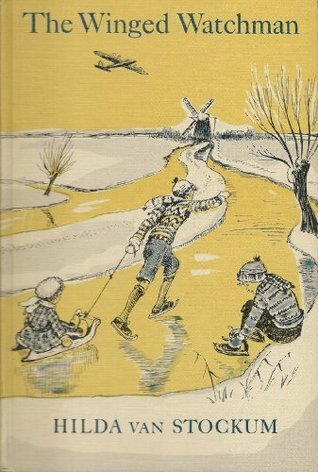 Though they seem like an ordinary family, the Verhagens' windmill is the site of many acts of resistance toward the Nazi regime, including their adoption of a Jewish baby as their own and the harboring of an English airman right under the nose of their teenage neighbor who works for the Nazis. As this family lives daily life in the months prior to Holland's liberation, the reader gains insight into the differences made by ordinary people during a time of great difficulty in Europe. What I like most about this book is how Catholic it is. The Verhagens practice their faith devoutly, including celebration of saint days like St. Nicholas Day, participation in the sacrament of Reconciliation, and regular attendance at Mass. Children's books about faithful Catholics are real unicorns in the world of literature, and I am always completely thrilled to find a good one. It is clear that this family's faith is one the driving forces behind its desire to help anyone they can escape from the Nazis, and it is nice to have that expressed so well. Another wonderful thing about this book is the character of Joris's mother. I have observed in the past that Van Stockum generally writes mothers very well (as evidenced by Mother O'Sullivan in The Cottage at Bantry Bay and Mrs. Mitchell in The Mitchells and its sequels), and this book solidifies that opinion for me. Mrs. Verhagen is not just a stock character, but a woman of real strength and courage who faces down real dangers on a regular basis and manages to remain calm, cool, and collected. Her relationship to the adopted Trixie is especially poignant, and her worries about the baby's true identity being discovered were very palpable to me throughout the book. There are so many beautiful passages in this story that explore deep philosophical questions: why God allows suffering, when war is justified, what it means to be wise, to be honest, to be good. Each of these is discussed from a Catholic perspective, and in a way that helps kids break down these issues into their key components and really understand why we believe the way we do. For that reason, of all the van Stockum books I've read, I think this one was the most emotionally resonant and the one from which I will remember the most specific moments as time goes on. I own a copy of The Winged Watchman and I can't wait for my kids to be old enough to appreciate it. Between this and Kate Seredy's The Chestry Oak, we are well-prepared for introducing them to World War II history.